Looking for some inspiration for your own home decor? 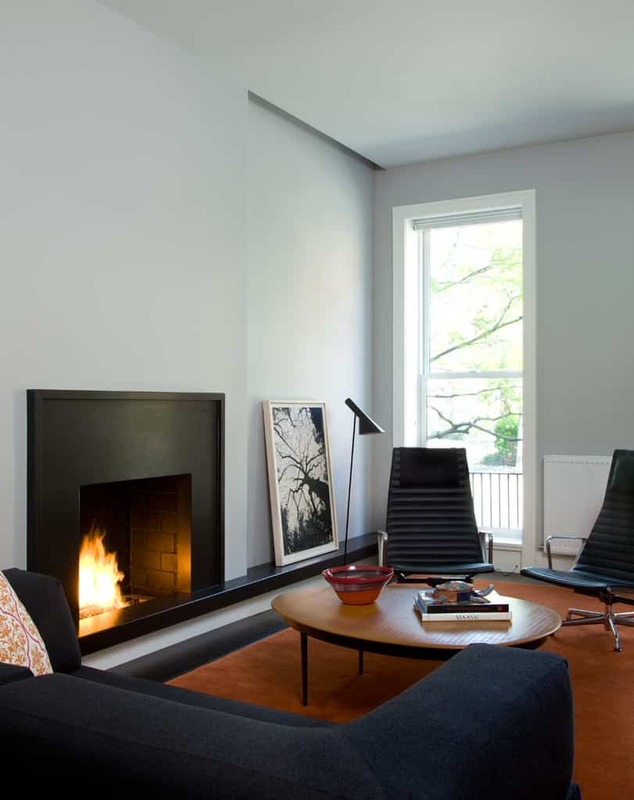 Sometimes it’s better to go with bold, rather than understated and the rooms in this list are all bold and unique in their own way. 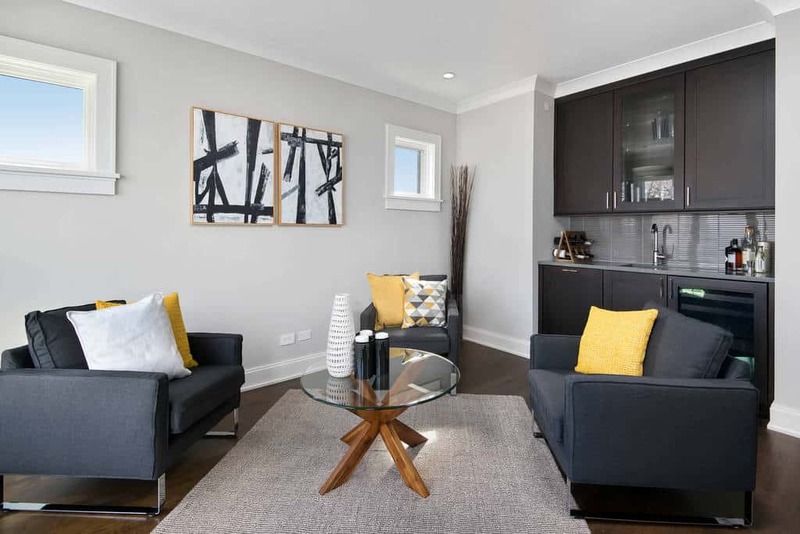 Strong contrasts and bright colors are just one way to make your living room stand out from the rest in the neighborhood. It’s not always about the colors, but the architecture and furnishing choices. 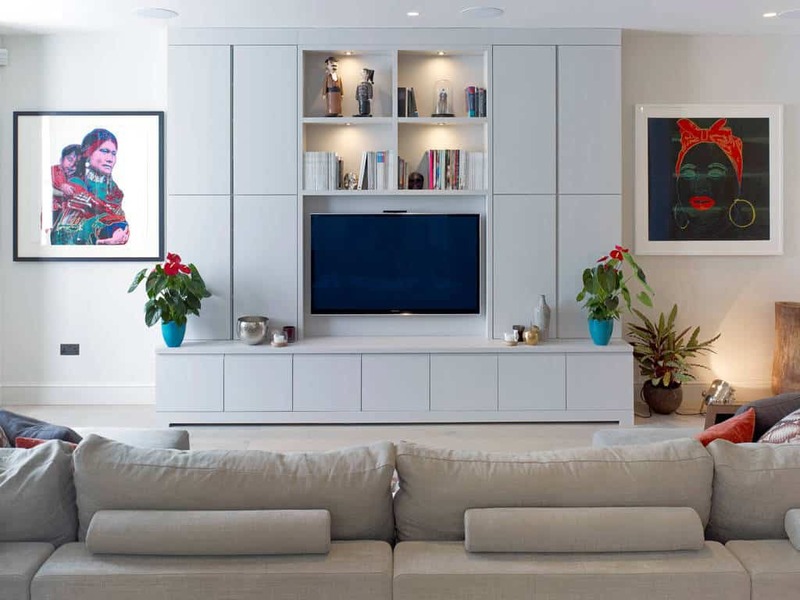 Check out this quick and easy list of living rooms and you’ll be inspired to start making a few changes of your own. 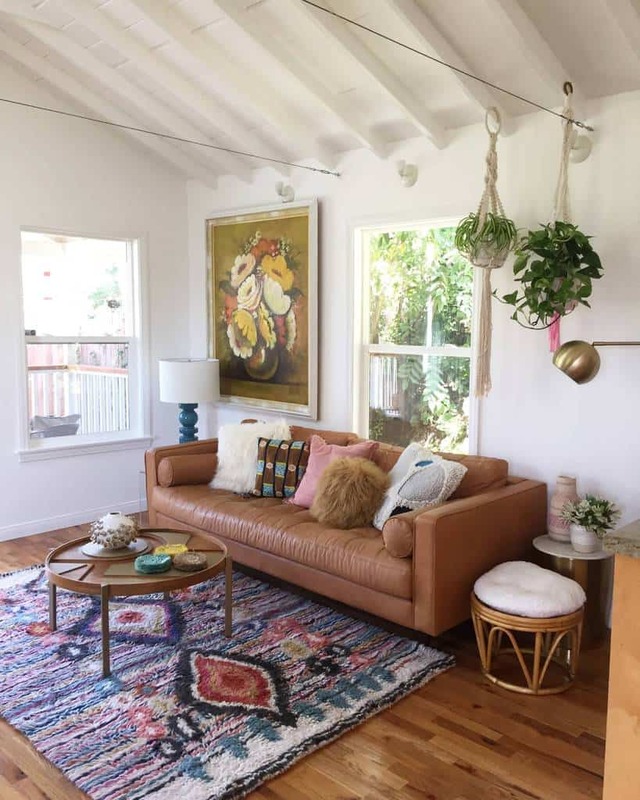 Find the right living room style for yourself and enjoy flipping through the rest of these beautiful spaces. There are plenty of amazing choices right here on this post. 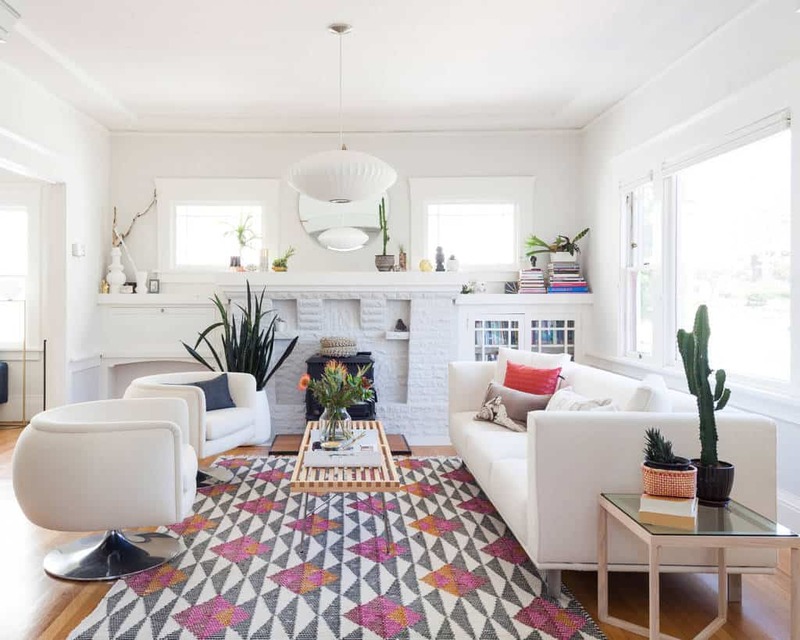 This busy, bright carpet with its black and white triangles and colorful pinks and yellows is bound to catch your eye. 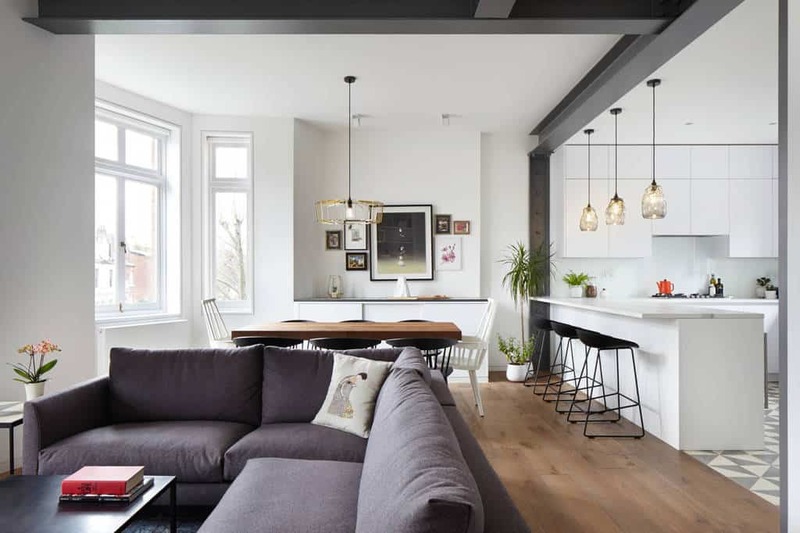 When you think bold, you likely think of black and white and that’s exactly what is going on in this particular living room. 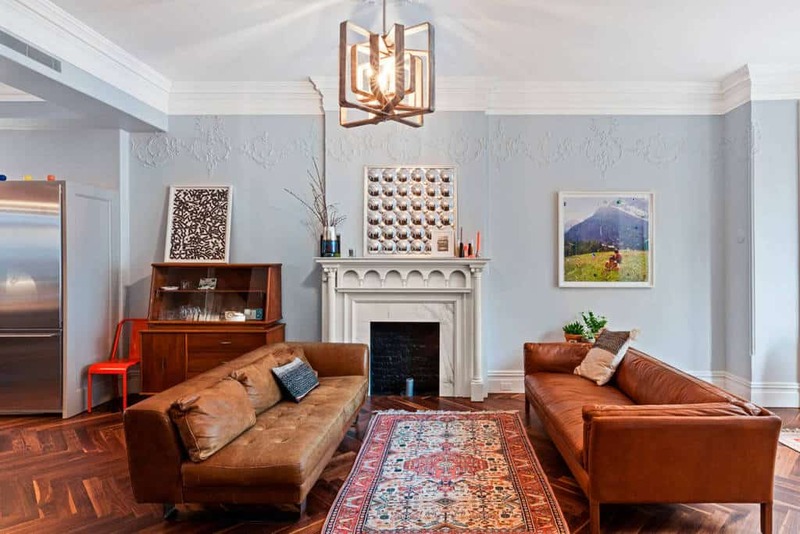 At first glance, this room is fairly traditional with leather sofas and wood floors, but the art that leans against the walls is certainly anything but traditional. If this fun ceiling lamp doesn’t remind you of an atom with all it’s orbits, then you probably missed Science class more than once. 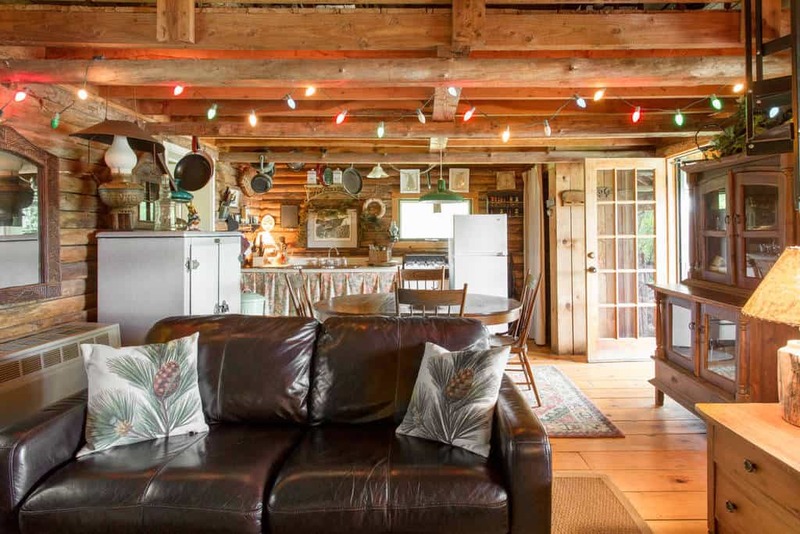 In a house that is almost entirely wood, the dangling Christmas lights and leather sofa are the least rustic items. 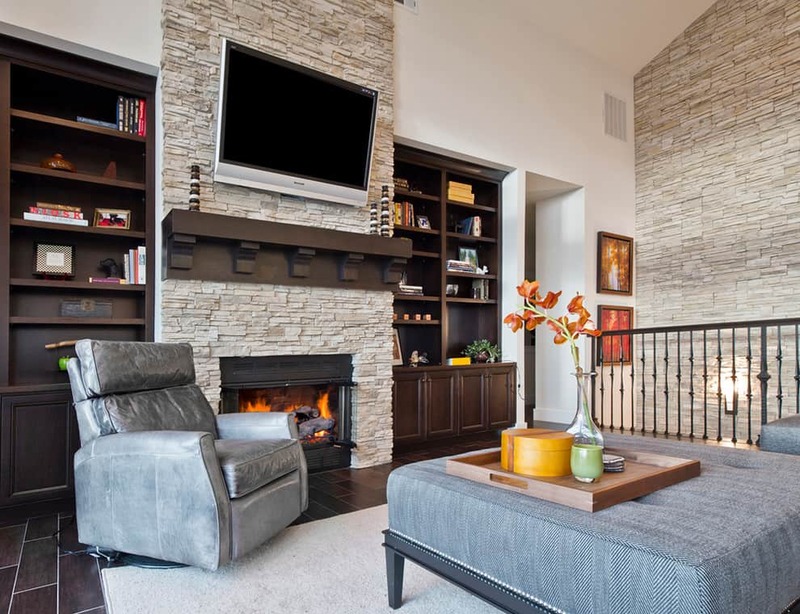 Using brick cut stone, this fireplace, and main wall both take on a rugged, rough appearance that adds texture to the room. 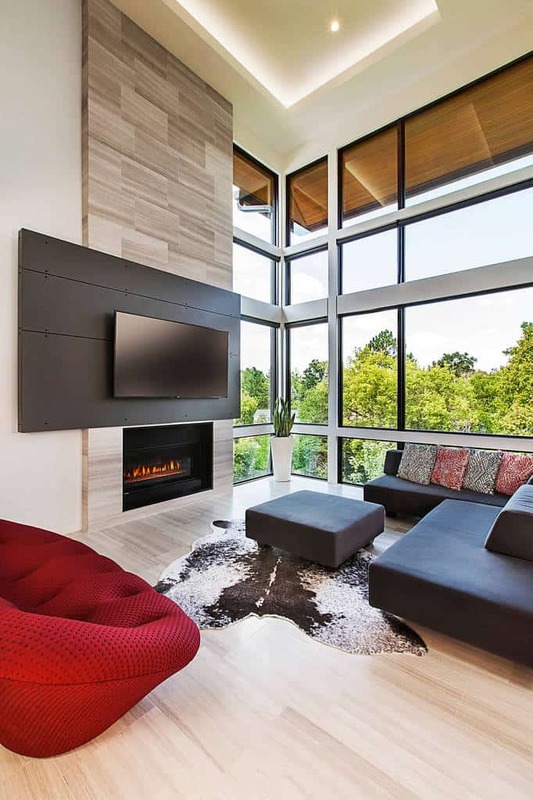 This living room is full of bold moves, from the sleek black panels behind the TV and the red love seat to the interesting cow rug. 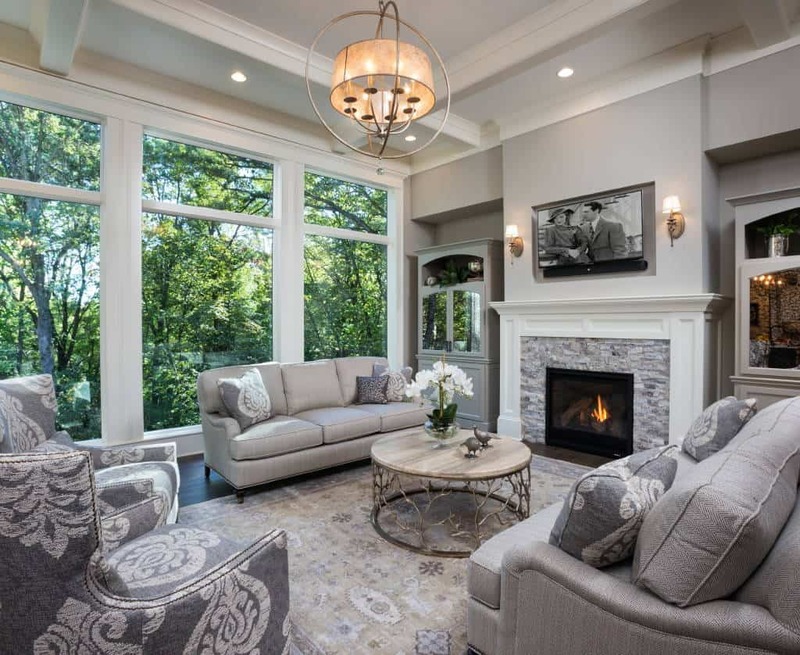 When you have dual level windows, go ahead and add curtains that cover both instead of worrying about separate ones. Before you sit down on this soft sofa, you’ll want to double check that the fluffy things are pillows and not pets. 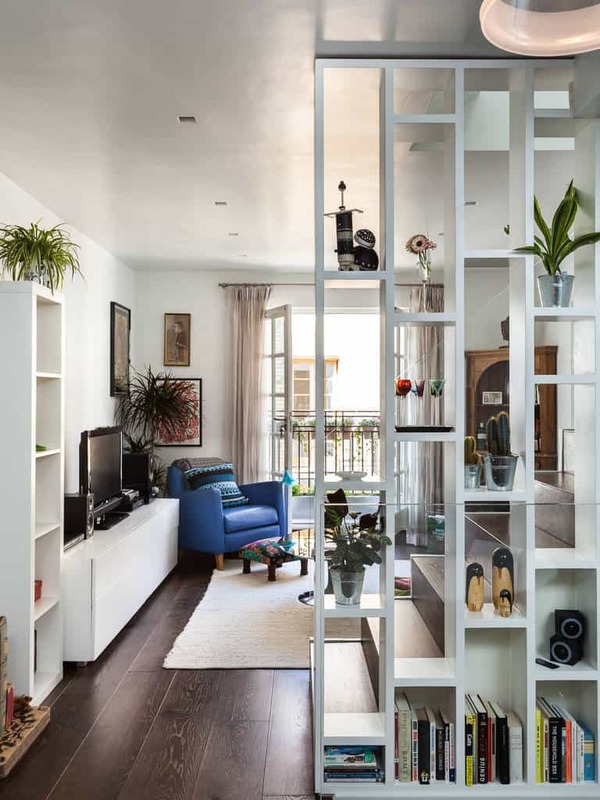 Store your books and knick knacks in this unique room divider that is designed as a shelf with vertical spaces for visual interest. Sometimes you need to get bold with your colors and that doesn’t always mean bright. 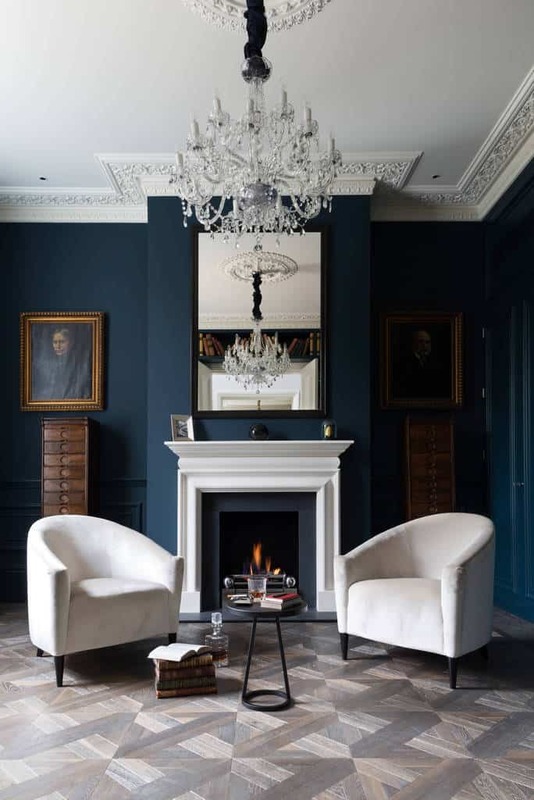 In this case, midnight blue goes very well with the decor. 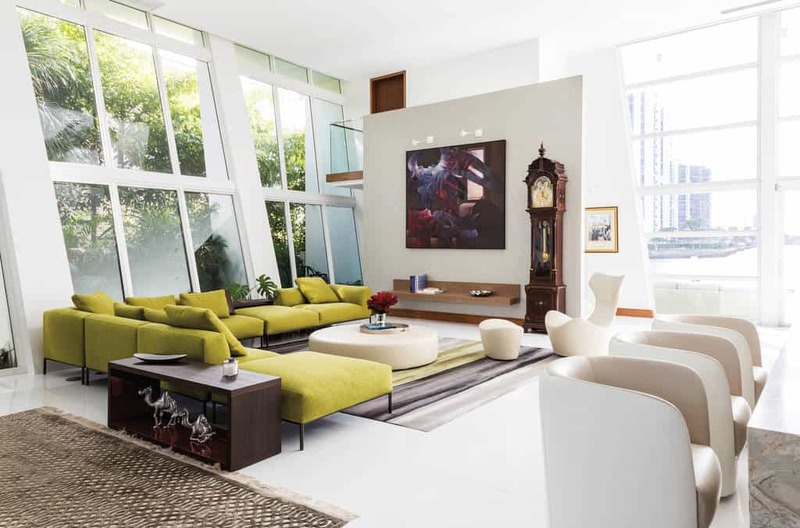 Odd shaped rooms can be a challenge to furnish, but this wedge shaped living room is perfectly decorated. Each side of this living room has a very different style of art and decor, but it makes it feel special somehow. Very few spaces deal with slanted windows like this one, but the architectural choice makes the room feel more open. Above the breakfast bar on the far end of the living room is a wall of art and photos that enhance the entire space.